“Simon has a real knack for combining the boring (yet essential) theory with what essentially why you are there - to learn to play your favourite songs. Only in time have I realised how empowering this approach is - because it keeps you enthusiastic whilst also ensuring that you are learning the necessary theory to learn sustainably. “I’ve been learning to play the guitar for the last 4 months under the tuition of Simon Morel. Not only am I learning how to play my favourite songs, but I’m also enjoying it immensely. “I started as a complete beginner with interest but also fear of the guitar. After about 6 weeks I am now able to play along to Radiohead and get some sounds out of the guitar which actually sound quite good!! 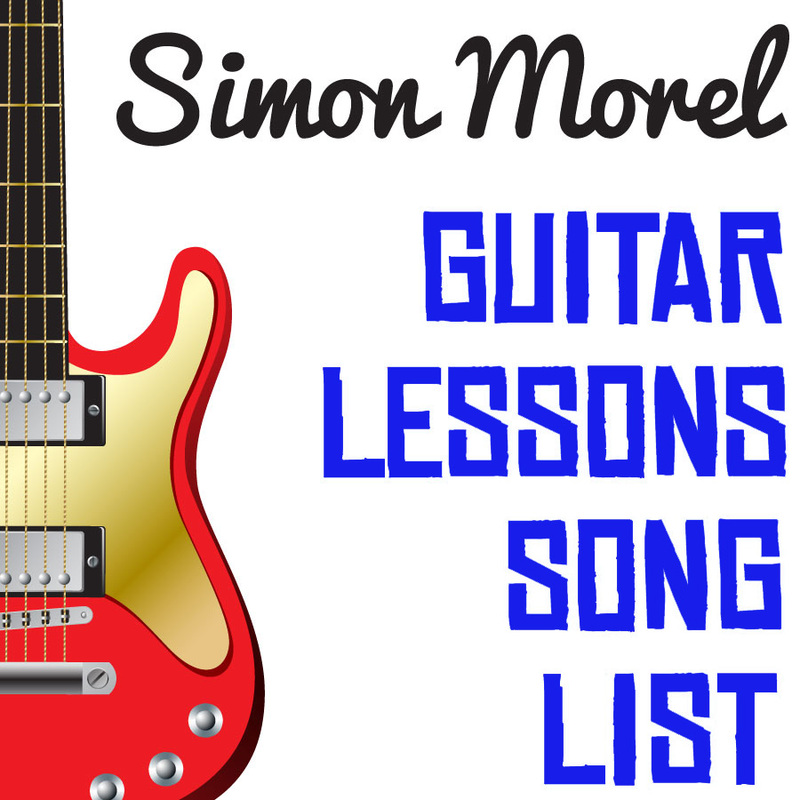 Simon's approach to teaching has been awesome and in addition to teaching me the technical knowledge required, I have been able to learn songs I love which is what I ultimately want. “I started taking lessons at the start of this year as an adult, without any prior experience or training. Today after only six months of lessons I can play several songs and eagerly await each lesson. Simon is a teacher of the highest calibre, who demonstrates considerable commitment to his students. I find that Simon teaches guitar in a way that keeps things simple to understand and easy to learn. “The lessons have given me focus on what I want to achieve with my guitar playing - learning theory and the songs from my favourite artists. From this I‘m inspired to practice each day and I am improving quickly. Also I’m trying some songwriting with what I have learnt. 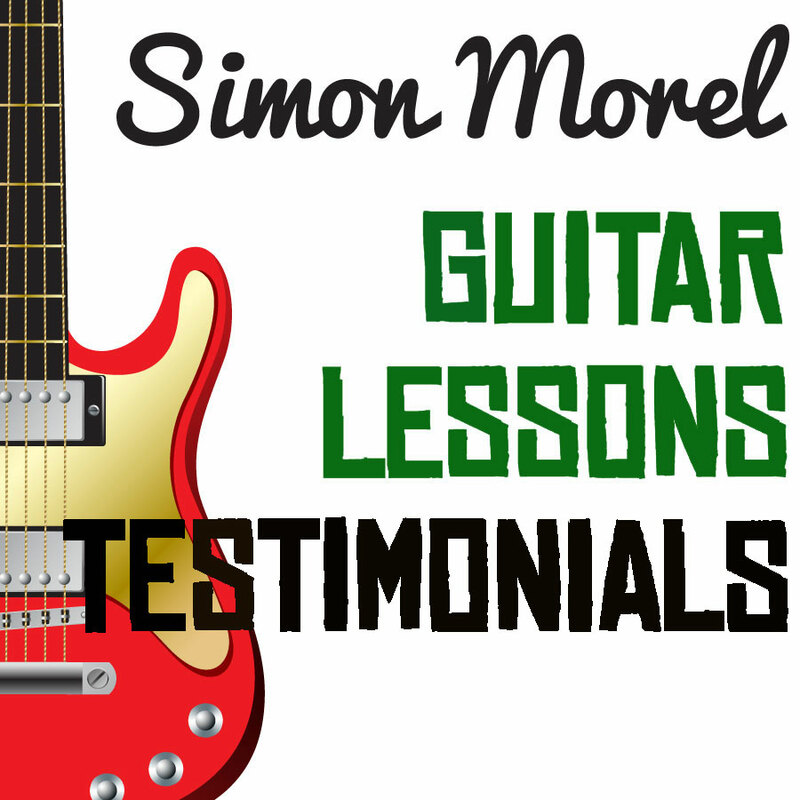 “I have been a guitar student of Simon’s for a number of months and have always found his lessons to be professional and constructive. Simon creates a relaxed and friendly atmosphere in which to learn and tailors the lessons to suit the student’s ability and level of progress always ensuring one leaves challenged and encouraged to persevere. To book a lesson, call me on 0404 267 623 or send me an email. – Learn whatever YOU want! Based in Leichhardt, Inner West, NSW, I design individual learning programs personalized to your needs, so you can learn your favourite songs at your own pace. Just nominate the songs you want to learn and we’ll work through them together week by week. Alternatively I have a wide repertoire of songs that you can pick from – see the list on this page. Along the way we’ll learn new chords, song structures and styles of playing by learning the songs you love. For all the songs learnt you’ll receive clear and concise instructions detailing exactly how to play your songs. You’re welcome to audio record or video record the lesson to help you out at home and if you get stuck at any point in between lessons I’m happy to provide tips on how to get back on track at any time. I’ve been playing the guitar for over 30 years, teaching for 25 and have played at venues throughout Australia, Japan and Europe. In Australia, I’ve played at all sorts of venues, pubs, clubs, festivals and theatres. Gift vouchers (great pressies!) are available at my online shop or by getting in touch with me directly. Also check out my testimonials from current and past guitar students, my ever expanding current song list (I’m always happy to learn songs specifically for you too!) and my terms and conditions. 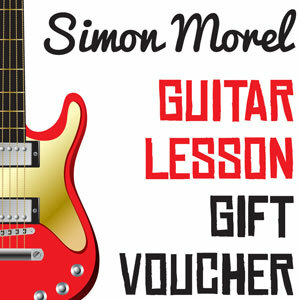 To book lessons or to ask any questions about the guitar lessons, call me on 0404 267 623 or email me.